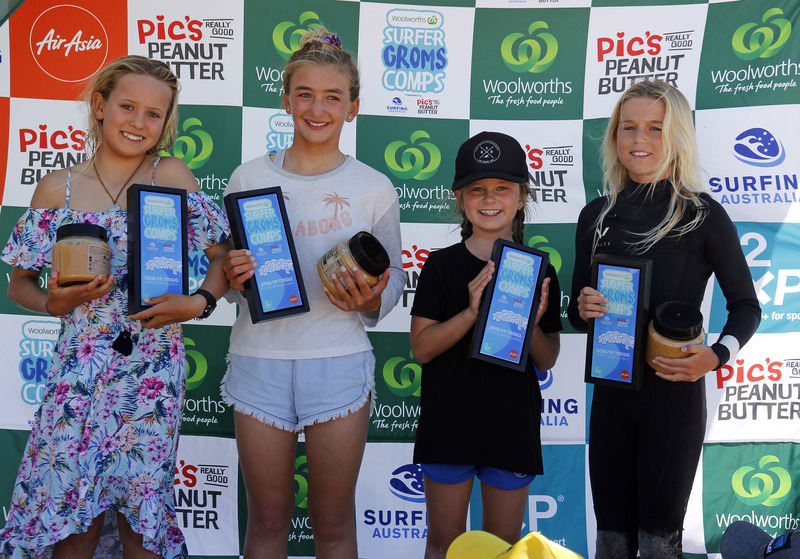 Seven young champions have been crowned on an exciting conclusion to the ninth stop of the Woolworths Surfer Groms Comps presented by Pic’s Peanut Butter. 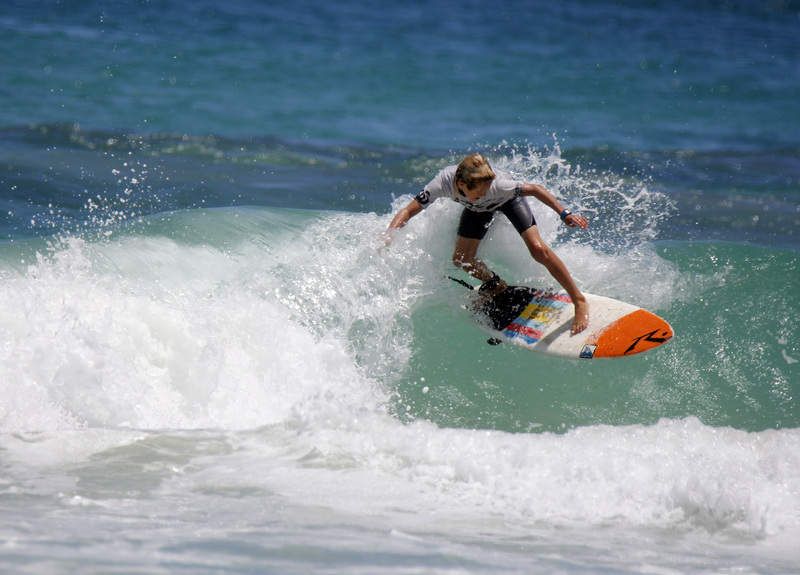 Trigg Point provided idyllic 1-2 feet summer surf with clean and consistent peaks rolling through along Perth's metropolitan coastline. 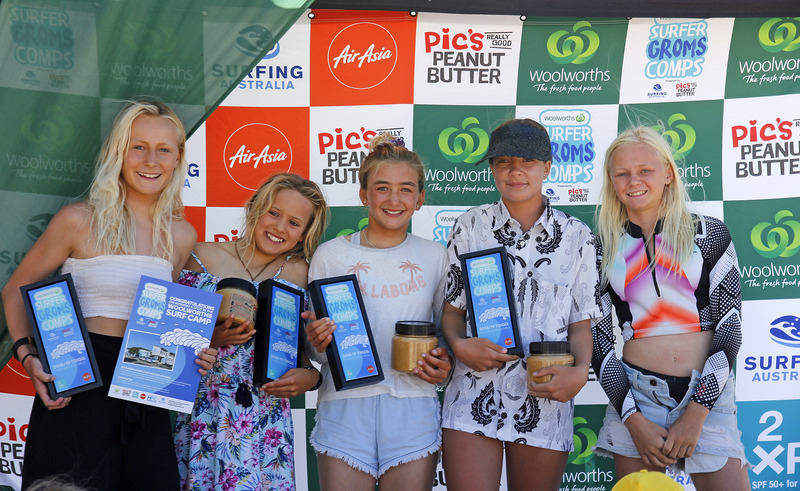 Regarded as one of the major stepping stones in the development of young Australian surfers, the Woolworths Surfer Groms Comps have helped to launch the careers of many of WA’s most promising junior surfers. 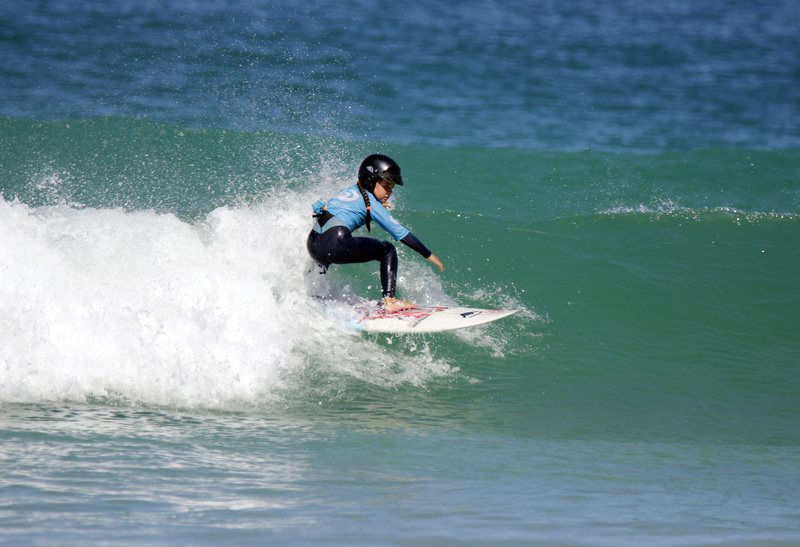 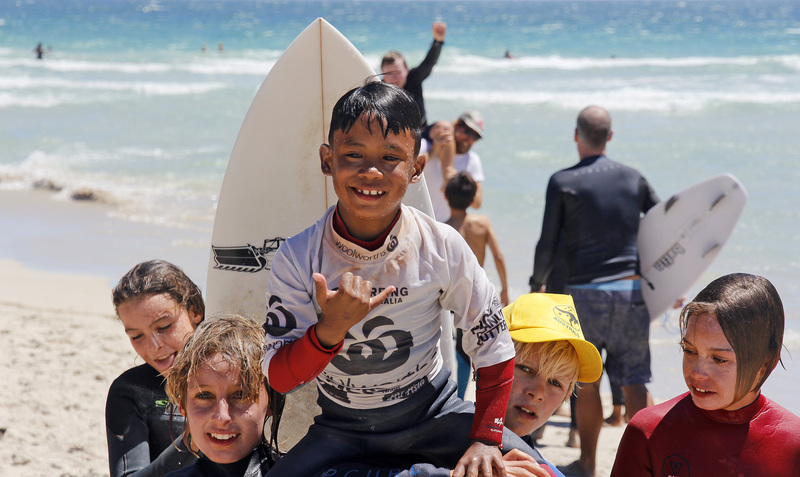 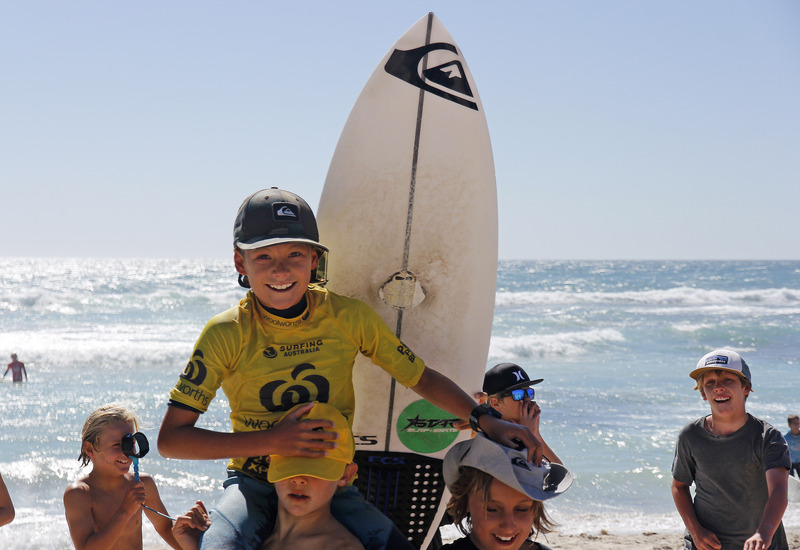 Close to 100 children competed over the Australia Day weekend, with friends and families flocking to the beach to support WA’s freshest batch of surfing talent. 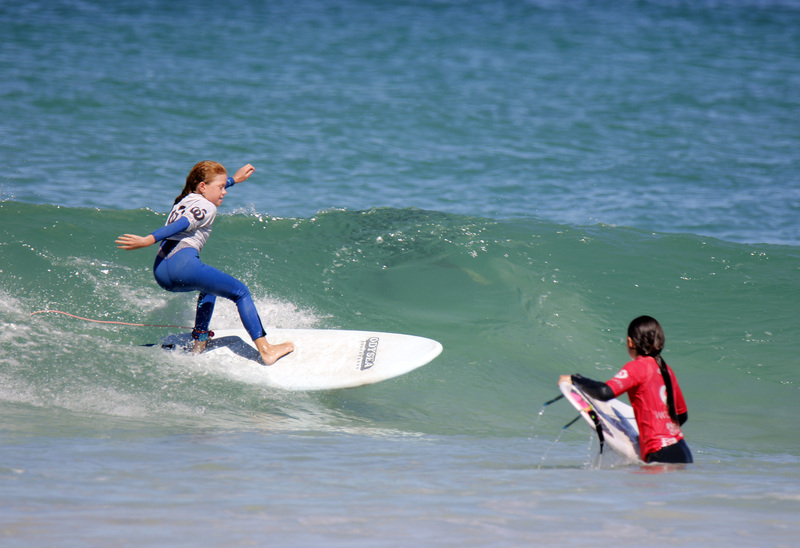 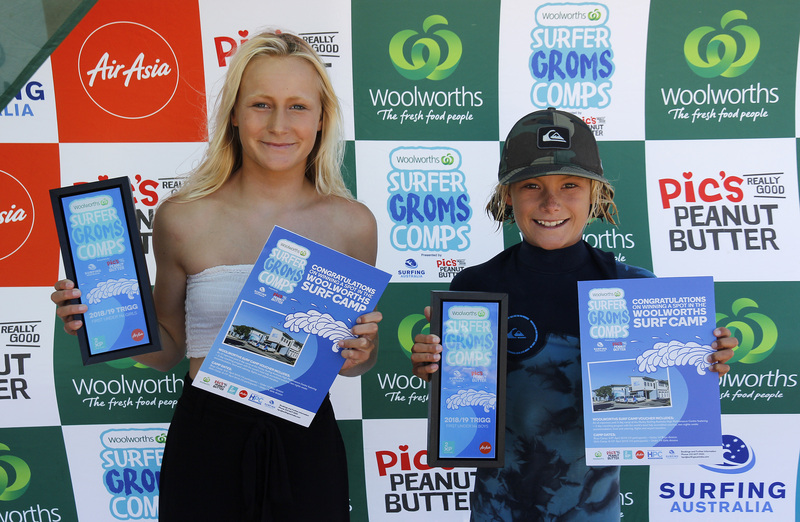 Macklin Flynn (Cowaramup, WA) and Zali Hewson (Margaret River, WA) were rewarded with an all-expenses paid, three-day Woolworths Surf Camp at the Surfing Australia High Performance Centre (HPC), after claiming victory in the blue-ribbon Under-14 Boys and Girls divisions. 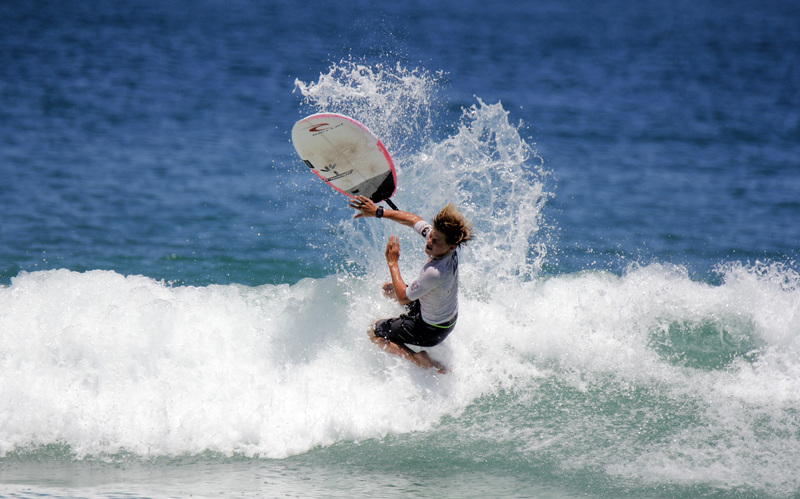 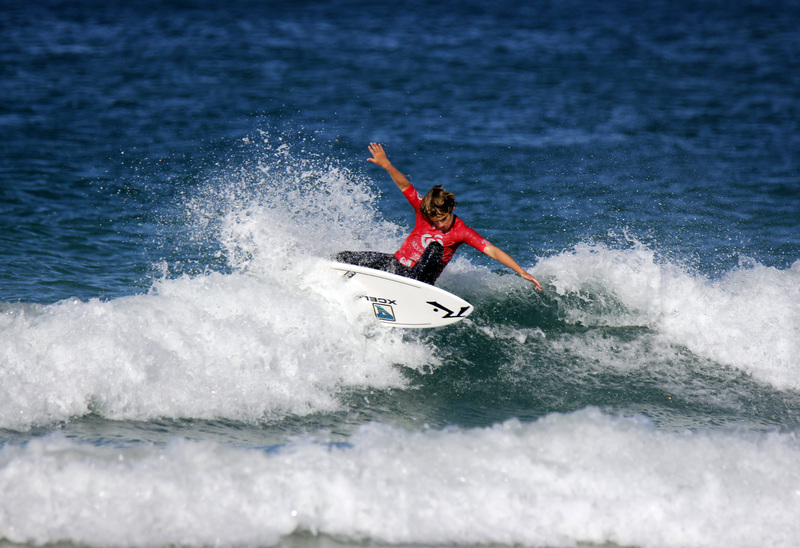 Throwing down an impressive display of high-performance surfing, Macklin Flynn kept his momentum rolling throughout the 14 Boys final, scoring a combined total of 12.56 (from a possible 20). 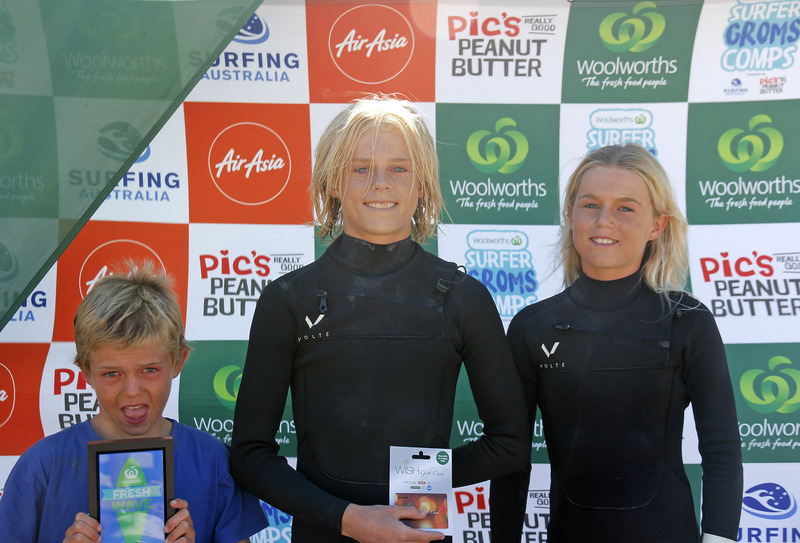 In a tight and closely fought matchup, Flynn fended off Brock Launders (Margaret River, WA), Jake Hagan (Geraldton, WA) and Ariel Hutchinson (Whale Beach, NSW). 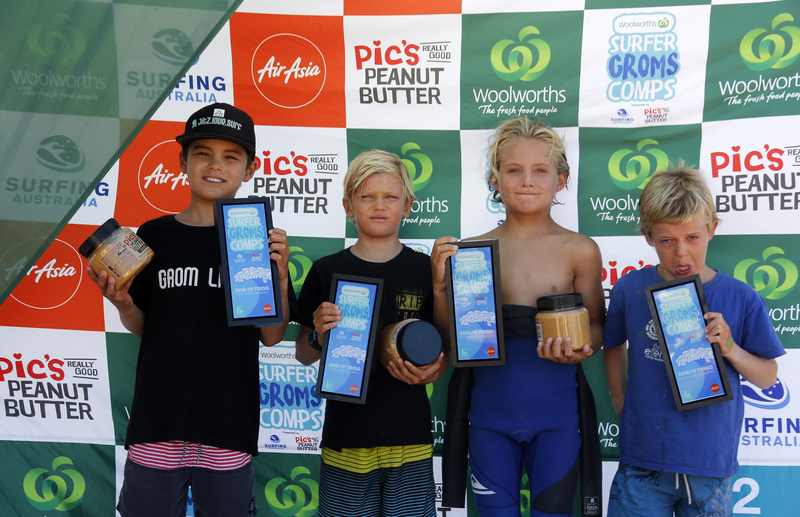 "Going to the HPC has to be one of the best prizes you could possibly win," said Flynn. 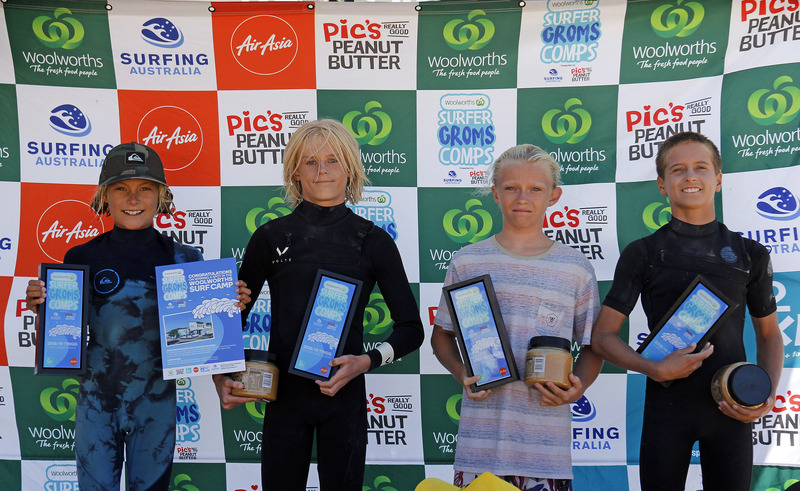 "The Surfer Groms Comp is one of my favourite and I’m stoked to have won." 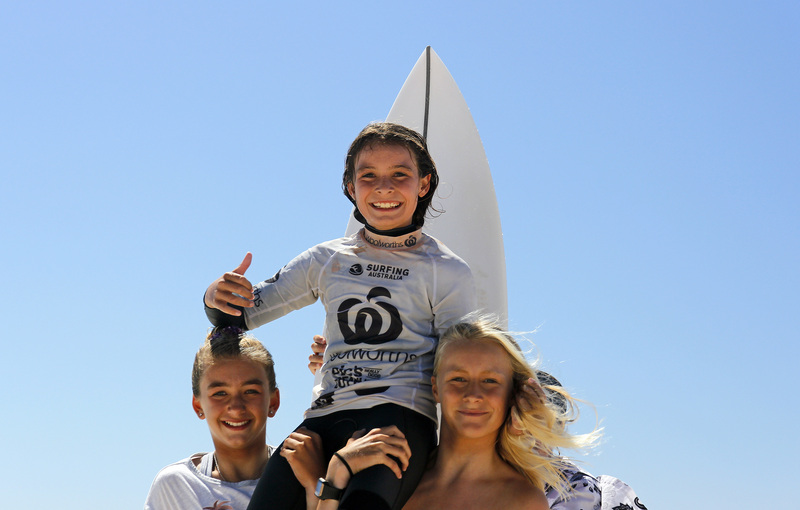 Zali Hewson confirmed she's a star on the rise, with a dominant performance in the 14 Girls final. 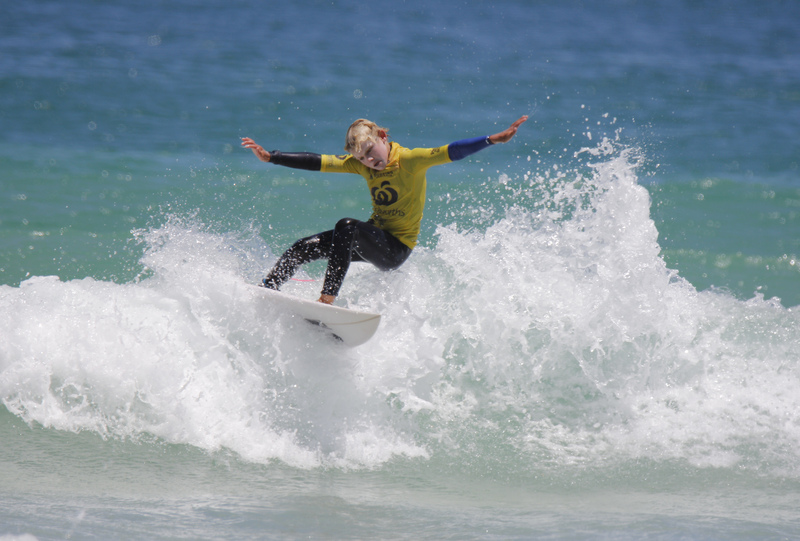 Hewson posted the highest combined total of the day with a massive 17.34 (from a possible 20), leaving all her rivals chasing a combination of scores for the win. 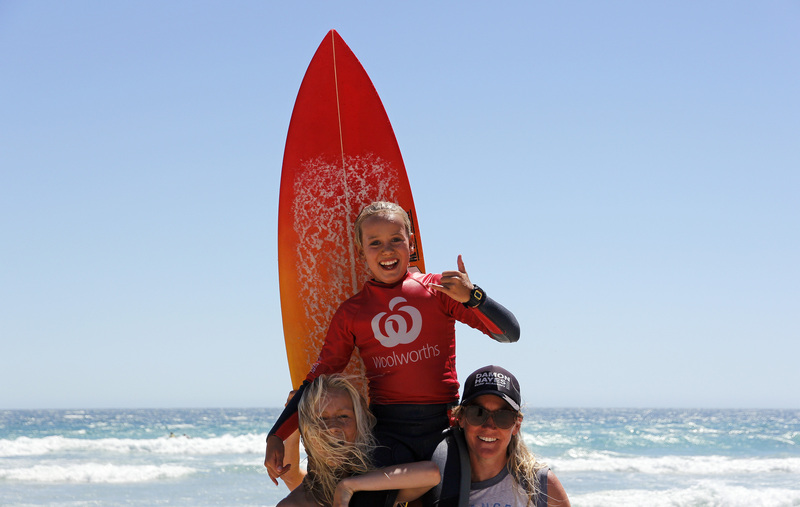 "I’ve had a really great summer surfing and having fun," said Hewson. 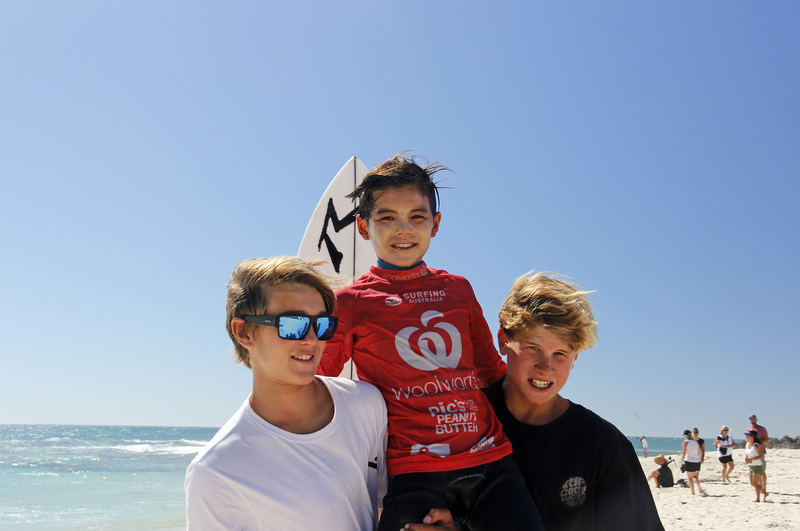 "It’s going to be incredible to go to the HPC and continue to work on improving my surfing." 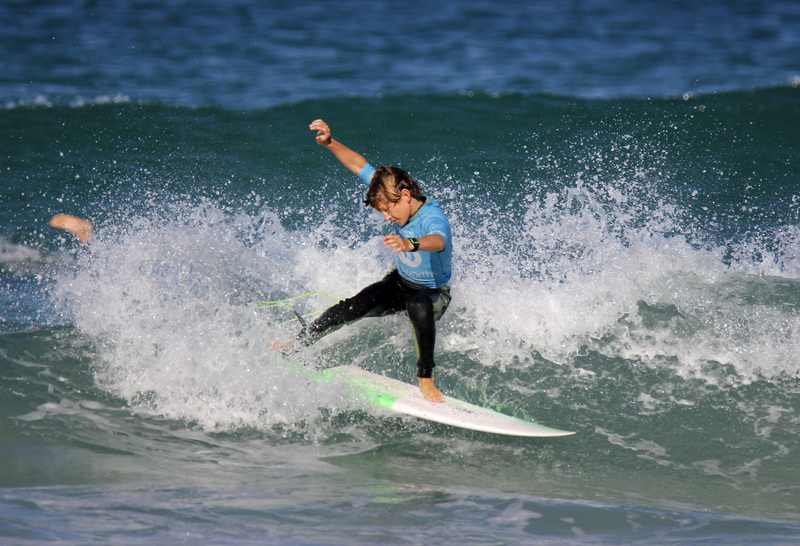 Remy North (Yallingup, WA) also showed the signs of a future champion, posting a near perfect 9.07 (from a possible 10) on his way to a win in the Under-12 Boys final. 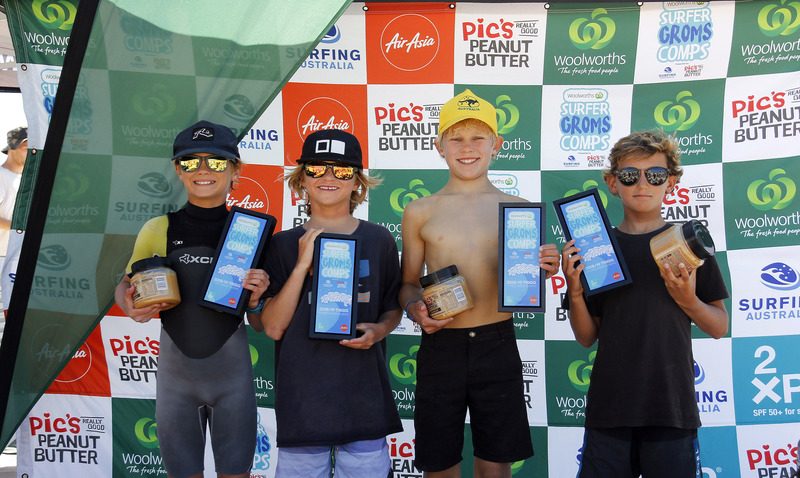 North’s combined total of 14.14 (from a possible 20) was enough to hold off Maverick Wilson (Wannanup, WA), Okie Frazer (Margaret River, WA) and Finn Sunderland (Margaret River, WA). 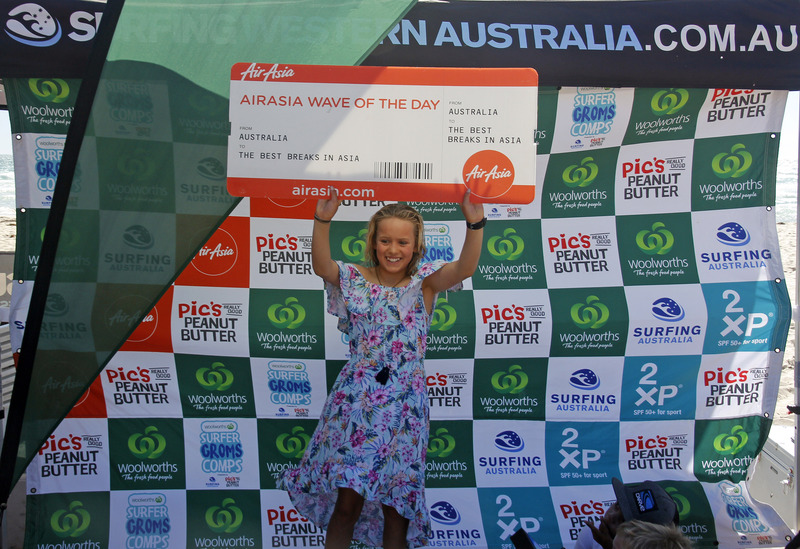 Ruby Berry (Augusta, WA) scored the ‘Air Asia Wave of the Day’ on route to victory in the hotly contested Under 12 Girls division. 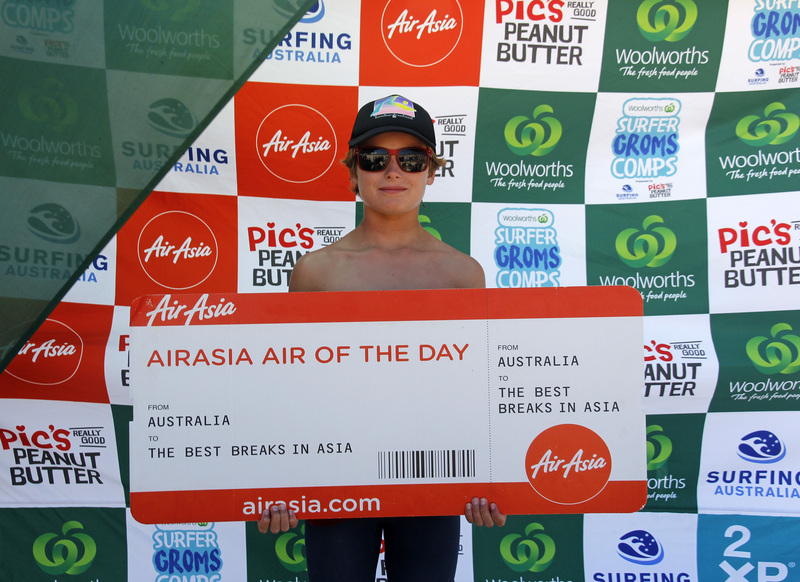 Berry posted an extraordinary 9.33 (from a possible 10) to go into the draw to win flights for her and 10 friends to South-East Asia. 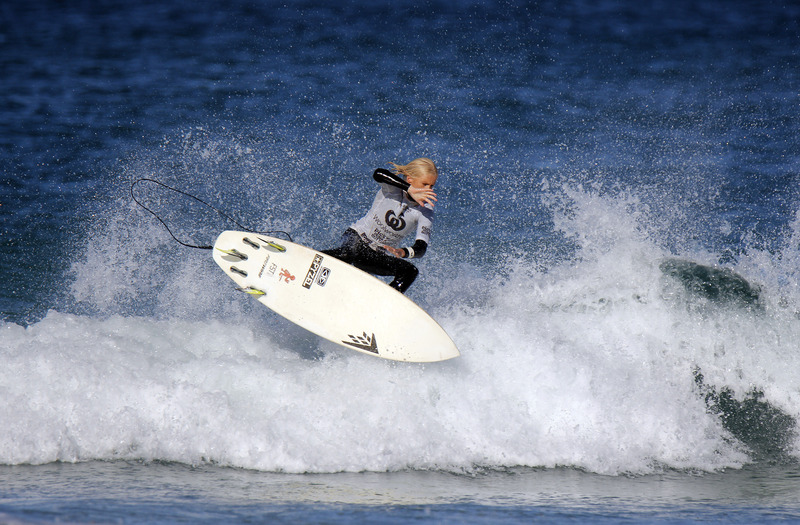 In other results from the weekend, Jack Bulloch (Secret Harbour, WA) went back-to-back in the Under-10 Boys division, making the most of the tough afternoon wind chop on offer. 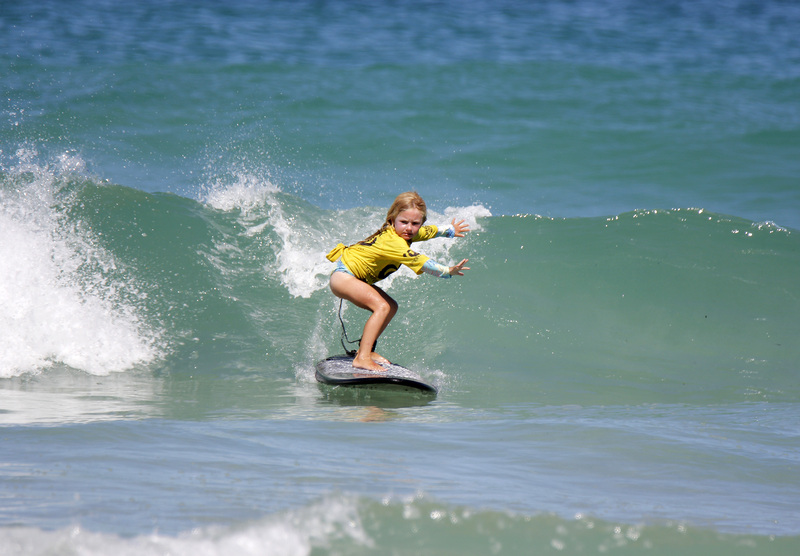 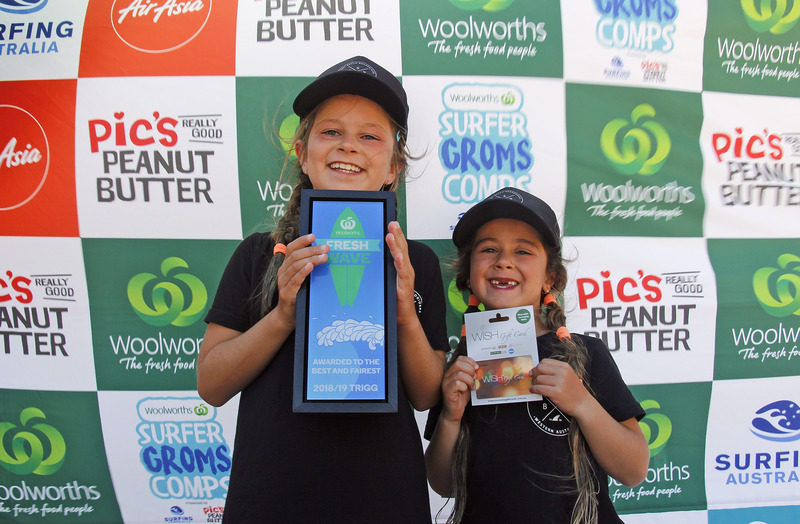 Luxe Higgins (Mandurah, WA) was ecstatic to have won the Under-10 Girls, while Mitchell Makin (Mandurah, WA) was a popular winner of the youngest division contested the Under-8 Micro Groms. 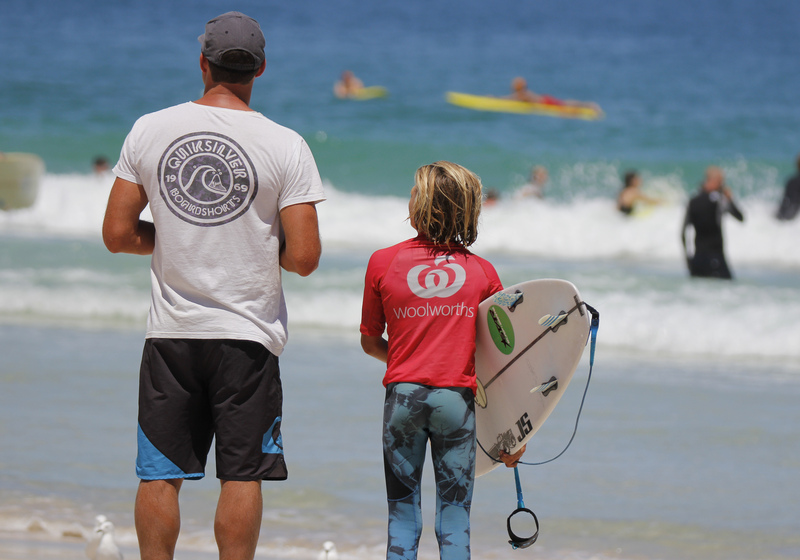 Event commentator and surf coach Mark Clift complemented the Woolworths Surfer Groms Comps and the unique atmosphere it created and the pathway it provides for the next generation of West Australian surfers. 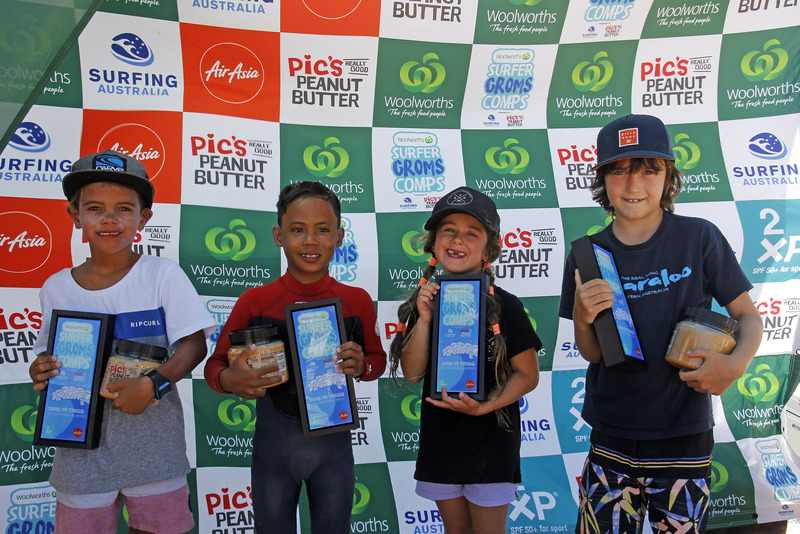 Two lucky families were recognised for their efforts and sportsmanship at the event, receiving the Woolworths 'Fresh Wave' Award. 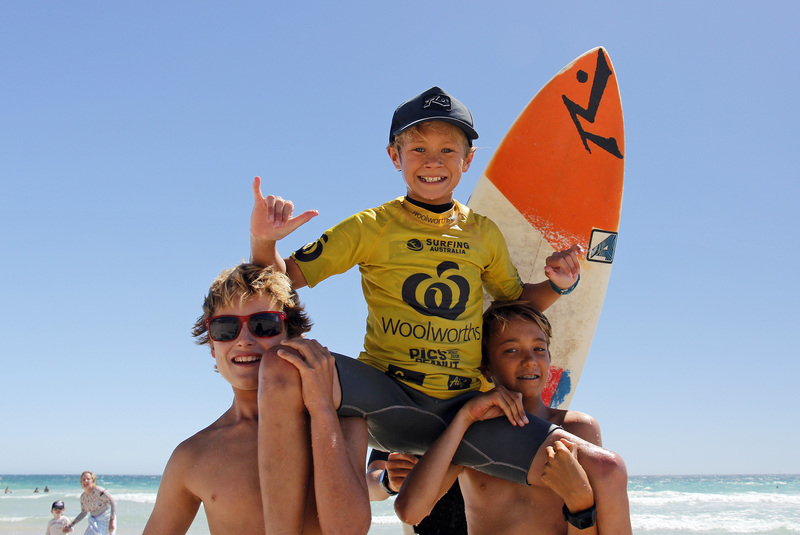 The Launders and Loose families each received a $250 Woolworths voucher. 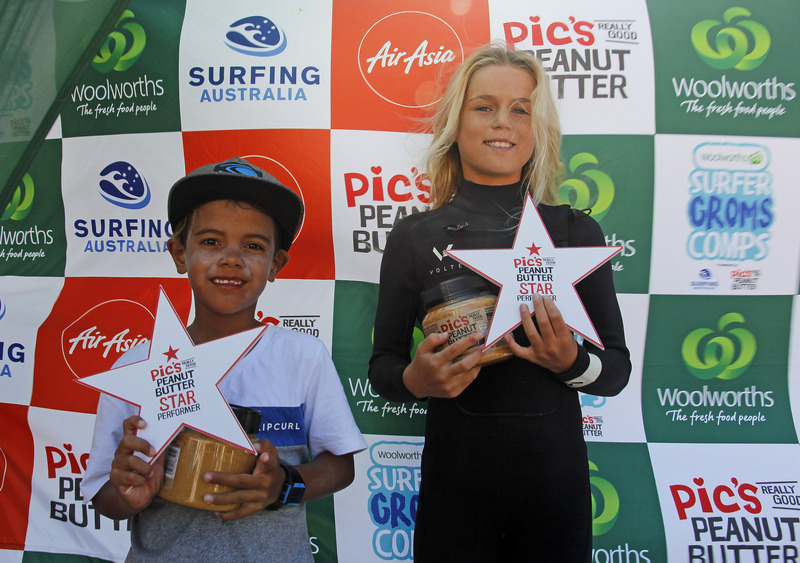 Jaspar Glossop (Bali, IND) and Kaleisha Launders (Margaret River, WA) were the Pic’s Peanut Butter Star Performers. 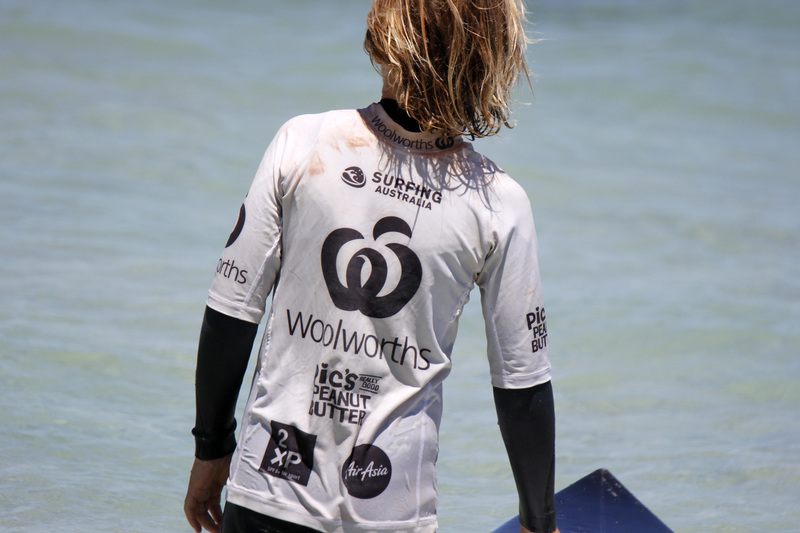 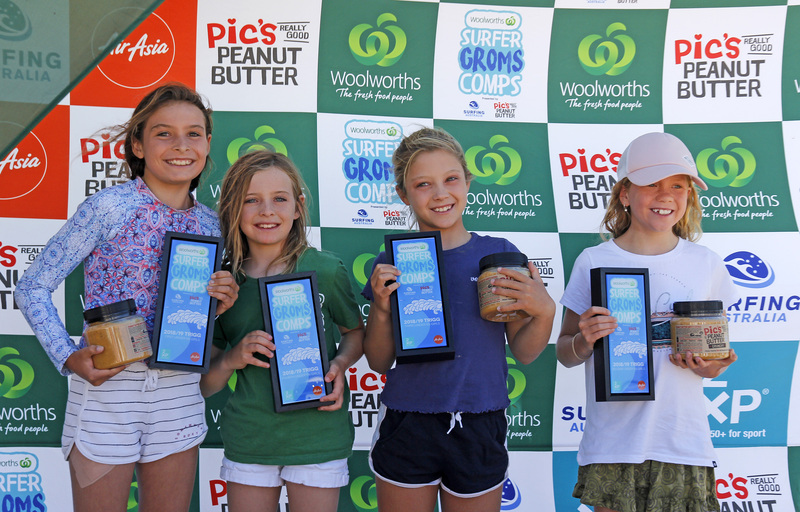 The Woolworths Surfer Grom Comps Series presented by Pic’s Peanut Butter has helped to launch the careers of many of Australia’s most promising junior surfers with almost 800 children set to take part in the 2018/19 event series. 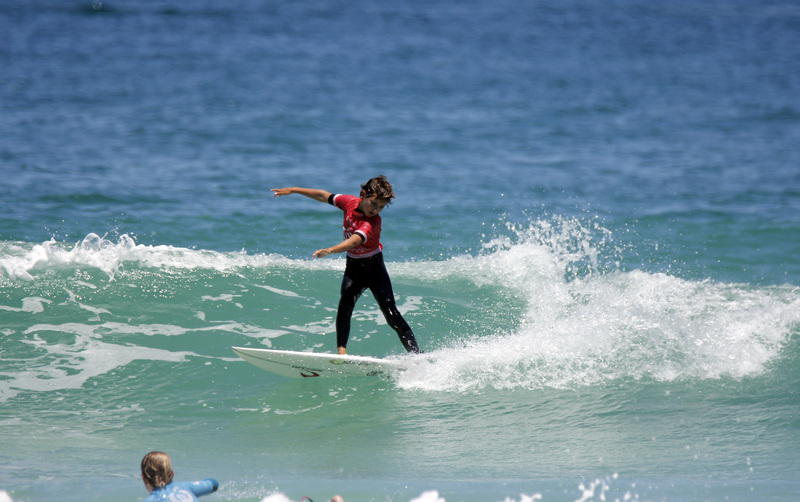 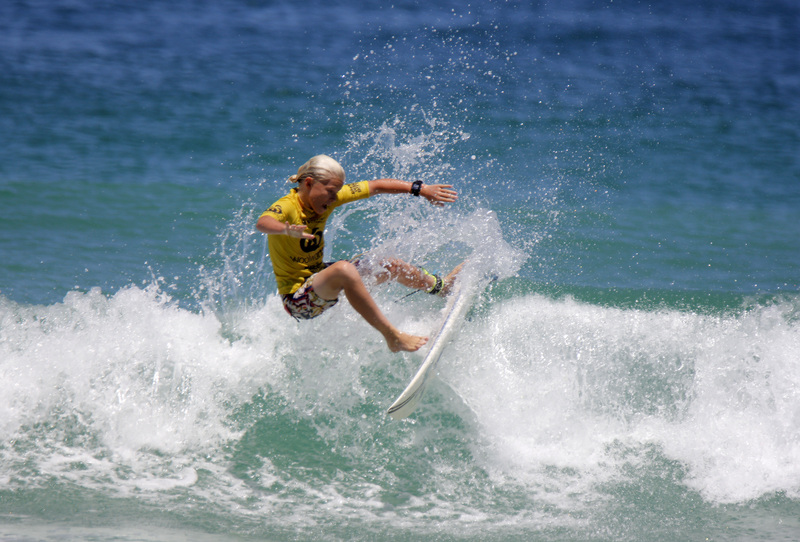 Stay tuned to www.surfingwa.com.au for news, photos and updates relating to this and any other event junior surfing event in WA.